Good project, interesting way to create demand for the token. However, the team is pretty small + KYC is not done yet but I think they are submitting KYC already. It is obvious you haven't read our whitepaper. It clearly states at the top of our whitepaper that this is not a new form of software technology. It is a series of businesses using physical technologies in a way that integrates with the blockchain. 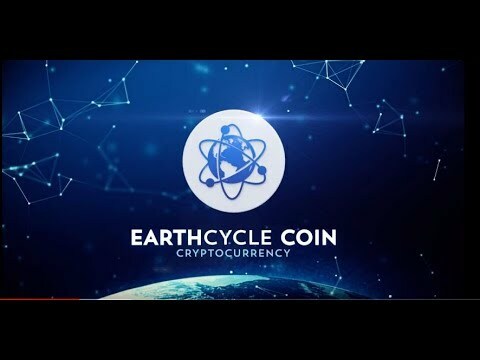 There is plenty of documentation on EarthCycle, if you take the time to read.... Which you obviously haven't. Weak team and no blockchain developers! Not sure concept has anything to do with decentralisation! Can't see a strong reason for any ROI for investors! Biggest red flag ever, really almost no team , few people asking for 500 millions, having a company in zimbabwe, so funny really, white paper so small, not enough details. This is a big red alert guys, nothing in this ICO makes me feel comfortable about putting a dime, specially that small team. The MVP link leads to their landing page and to the MVP on GitHub, Weak team and no blockchain developers! Not sure concept has anything to do with decentralization, not even 1% chance ROI for investors. I would definitely stay away. Team, Vision and product are all knitted together to form a strong foundation for the future . Operations are ongoing and validated for profitability - that's solid proof of a true community behind an ICO. A long road ahead, but keep up the humanitarian work and you can't go wrong.